Have Los Blancos lost their spark for good? On May 26 2018, Real Madrid defeated Liverpool 3-1 to claim their third consecutive Champions League trophy, dispatching the resurgent Merseyside outfit in style. Messrs Modric, Kroos, and Casemiro spun their midfield web with relative ease. Gareth Bale scored what is arguably the greatest goal to ever be scored in a major final, and now-former Liverpool keeper Loris Karius condemned himself to life as a meme. In the process, Real ensured their place in contemporary football folklore. The first team to win three European Cups in a row, with what was their fourth triumph in five years, they were justifiably greeted in Madrid by a hero’s welcome. Kings of Europe. Galacticos. Footballing gods who had added another three titles to the famous “La Decima” achieved in 2014. Indeed, some considered Ramos, Ronaldo and company, under the tutelage of Zinedine Zidane, to be the greatest team of all time. However, despite their most recent triumph, there was also a vague, pervasive feeling that something wasn’t quite right at the Santiago Bernabeu. The squad was aging, and suspicions existed that this Madrid team had peaked. Yes, they had just achieved unparalleled success, but the need for a new set of Galacticos loomed worryingly over their historic triumph. The two talismen, Zidane as manager and Ronaldo as Messiah, had certainly recognised that the jig was up. Before the summer was out, Ronaldo was plying his trade for Juventus in Italy, while Zidane waved goodbye indefinitely to the club he had played for and coached with such incredible distinction. Those who stayed were seemingly not up for the fight, with the likes of Kroos, Isco, and Ramos enduring torrid World Cups. The need to rebuild, and rebuild dramatically, became as clear to the world at large as the brilliance of those they had lost. Yet for whatever reason, be it Modric’s Ballon D’or or Varane’s World Cup win however, President Florentino Perez for the first time refused to invest heavily in new stars, thus condemning Real Madrid to their worst season of football in the modern era. Indeed, Madrid’s triumph in Kiev now feels like a distant memory. At the time of writing, they find themselves nine points off the pace in La Liga, effectively eliminated from all domestic competition, and perhaps most importantly, absent from the Champions League quarter-finals for the first time since 2009, following a 4-1 humbling at home to Ajax. A fanbase that had adored them not nine months previous now booed their every move and called for their heads. Their deficiencies were apparent. A once masterful midfield three, now languid and careless. A goalkeeping calamity. Defensive frailty. An absence of leadership. A footballing behemoth which had clearly lost its way. It was clear to all that there had been a rapid decline, but the question remained: What exactly had happened to Real Madrid? It is obvious to point to the club’s reluctance to replace Cristiano Ronaldo as a catalyst for their downfall. However, to do so would be to suggest that Ronaldo is the type of player who can be replaced. Ultimately, and to put it crudely, he is not. Therefore, the failing becomes more complex. The decision to sell Ronaldo was an incredibly naive one. To let the greatest player in your club’s history go without a semblance of a fight is a cardinal sin, and one which exudes arrogance. The replacement strategy, even more so. Instead of the usual Galactico model, Madrid decided to invest in youth, and have tasked the 18-year-old Vinicius Jr with filling Ronaldo’s shoes. While Vinicius will certainly go on to be a great player, expecting him to replace Ronaldo now was as idiotic as letting the Portuguese player go in the first place. Similarly, another replacement strategy which hasn’t come to fruition, due to being equally ill-informed, is an increased reliance on Gareth Bale. Many felt this would be the year Bale flourished in Madrid, finally given an opportunity to step out of Ronaldo’s shadow. However, it has been more of the same for the Welshman, as he is continually underappreciated by not just Madrid’s toxic fanbase, but his fellow teammates. Criticism levelled at Bale by leadership figures within the Madrid dressing room, most notably Marcelo, include “playing too much golf”, and “going to bed too early”. 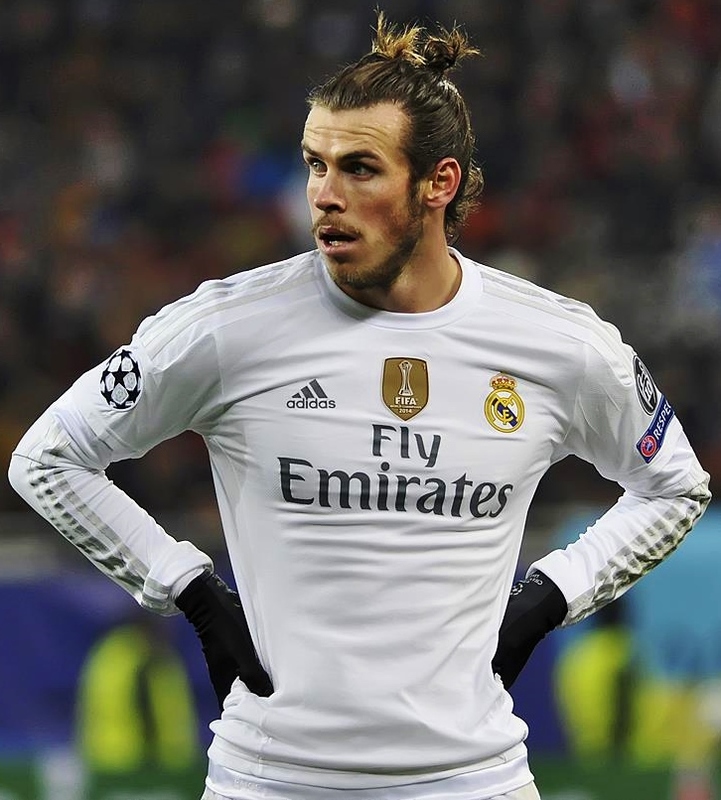 For whatever reason, Bale’s introverted personality has distracted those around him from his brilliance on the pitch, and, as a result, he will never be given a platform to perform to his full capabilities while he remains in the famous white shirt, nevermind replace a figure such as Ronaldo. Madrid’s transfer policy, or lack thereof, in other positions has been equally ineffective. The decision to sign Thibaut Courtois to replace a more than capable Keylor Navas was an unnecessary one, particularly when viewed alongside the lack of signings in midfield areas, despite the aforementioned deficiencies of their aging midfield three. However, Madrid’s biggest mistake in the transfer market was their choice of managerial replacement for Zidane. In Julen Lopetegui, much like the bizarre confidence in Vinicius, Madrid, not for the first time in their history, put their faith in an unproven entity. The rationale may be that it worked with Zidane, but in the Frenchman, they were appointing a man who knew the club inside out. In Lopetegui, however, they were getting a manager whose only previous experience at club level was at Portuguese side Porto. The manner of the appointment said it all, approaching him without the consent of the Spanish FA, leading to his sacking by the Spanish national team on the eve of the World Cup. This misplaced superiority complex has been Madrid’s greatest failing this season, as was demonstrated by Lopetegui’s inability to exceed four months in charge. Following the Lopetegui sacking, Madrid tried to emulate the Zidane model by appointing an ex-player, Santiago Solari. However, Solari was, it turned out, no Zidane, and, as a result, Madrid were humiliated by Barcelona in the Copa Del Rey, destroyed by Ajax in the Champions League, and fell further adrift in La Liga. During Solari’s short reign, the likes of Vinicius, Lucas Vazquez, and Thibaut Courtois were consistently preferred to Bale, Isco, Marco Asensio, and Keylor Navas, despite being undeniably inferior. What was once a road bump at Madrid soon became seemingly insurmountable. The fans turned towards Perez, and in their desperation chanted for the return of Jose Mourinho. Clearly, they had gone mad. Recently however, Madrid have made their first positive step on their potential return to glory, by re-appointing Zinedine Zidane. How the prodigal son was convinced to return, whether it be eye-watering amounts of money, a genuine love for the club, or something in between, we do not know. One thing we do know, however, is that in his first game in charge, Zidane reintroduced Asensio, Isco, and Bale to the fold, catalysing a two-nil victory over Celta Vigo, and the removal of the “Perez Culpable” banners from the Bernabeu. Zidane’s return has certainly lightened the mood, but without significant structural reforms at the club, including inter alia the appointment of a Director of Football and some productive signings in the next transfer window, particularly in midfield, Madrid may have to wait a significant amount of time before the Champions League trophy returns to its “rightful owners”. In any case, for the time being at least, football’s brightest star has undeniably lost its spark.